When did we first set out to explore the oceans? No one knows for sure, but archeological evidence points to a very early beginning in the relationship between people and the ocean. To effectively travel by water, one needs a boat that floats and that can be propelled through the water. The properties that govern whether a solid object will float in the water are easy to understand and were first put into words by Archimedes over two-thousand years ago. An object will float if it can displace a mass of water equal to, or greater than, the mass of the water it displaces. When you get into a bathtub, the water goes up because of displacement. Your mass is pushing water up and to the side. In the same way, an aircraft carrier made of steel and cement, weighing several thousands of tons, can float as long as it displaces a greater mass of water. Click on the link to learn more about the science of buoyancy. 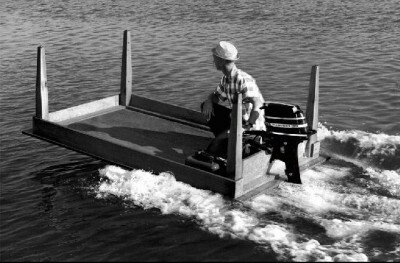 The easiest way to move a boat is with a paddle or oar. Push against water with a paddle, and the water will push back against you (and your boat.) 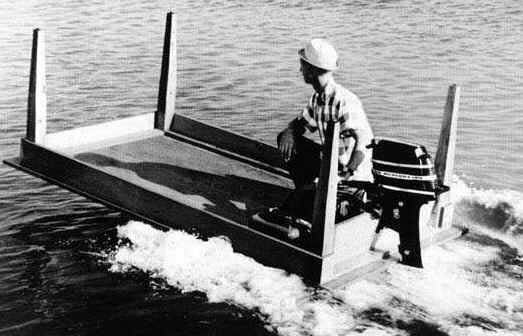 Still, the limited power of human propulsion greatly limits the size of a human propelled boat. Sailing, using the power of the wind, is a much more effective way to move a large boat. Sailing at a basic level is simple. If you are out in a canoe while the wind is blowing, and you open up an umbrella, the force of the wind will speed you along – you are sailing. However, if you don’t just want to be blown around by the wind, but want to go a specific direction – sailing can become much more challenging. To go in a specific direction (regardless of the direction of the wind), the technique you use, and the sizes and shapes of the sails you use become very important. Click here to try out the sailing game, and learn a little bit more about sailing a race course. Pacific Islanders: The Polynesian people of the Pacific have a great oral history of their exploration. Southeast Asian peoples first began to migrate throughout the Pacific as long as 4500 years ago. Traveling in large double-hulled canoes with small sails, explorers from the Society Islands colonized islands as far away as Hawaii. Talented boat builders and exceptional navigators, the Polynesian people of the Society Islands managed to populate nearly every island in the Pacific. To navigate these large stretches of open ocean, they learned to read patterns of currents and waves, studied the night time skies, and acquired knowledge of bird and fish migrations. Click to read a great story about how one learns to “read the waves.” You can also click on the following links for more information about navigation of outrigger canoe’s see. 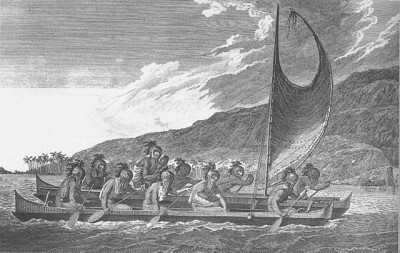 The history of Polynesian Exploration and Polynesian Navigation. Greeks: As early as four-thousand years ago, Mediterranean peoples developed large vessels for military and trading purposes on the Mediterranean Sea. Their vessels made use of square sails and human rowers for propulsion. Having less sophisticated navigational skills than the Pacific Islanders, most Mediterranean mariners stayed within sight of land. For more information, see: Ancient Greeks – Ships and Sea (BBC). Nordic (Vikings): The invention of the longship and a temporally favorable climate allowed the vikings of Norway, Denmark, and Sweden to explore and settle Greenland, Iceland, and Newfoundland, Canada. (They beat Columbus to the “new world” by at least 500 years.) They also raided villages and took prisoners in Ireland, England, and France. 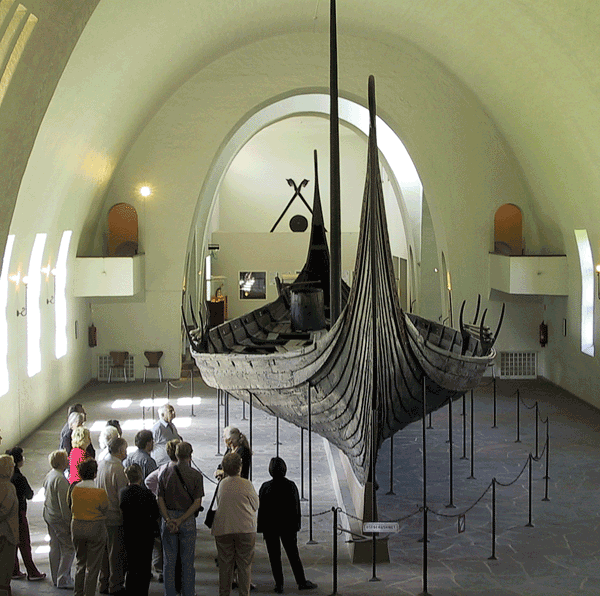 The longship was noted for its speed, sea worthy construction, and cargo capacity. They were built using long over-lapping planks sealed with pitch and had the flexibility to be either rowed or sailed. Click on the link to read more about The Secrets of Viking Ships. Europeans: The Europeans were late to the game of marine navigation, but when they arrived, they did so with missionary zeal and a lust for gold. Europeans were quick to catch up and eventually came to dominate marine exploration and oceanic trade. They built bigger, wider, and much heavier three masted sailing vessels, capable of traveling great distances. Magellan completed the first circumnavigation of the planet with such ships. For lots more pictures and history, check out the Early European Sailing Ships. 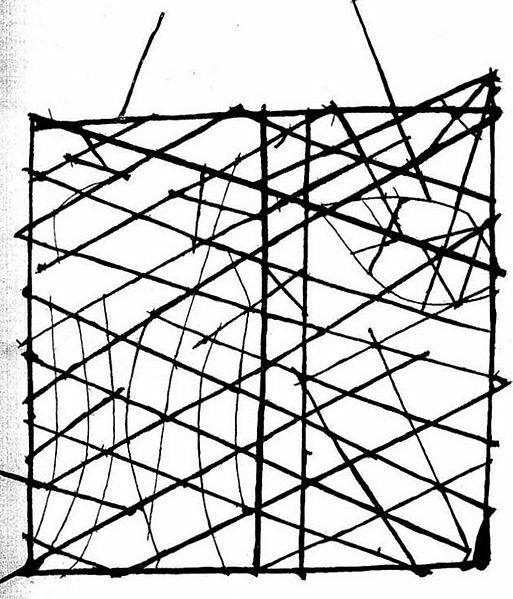 The Polynesian Stick Chart: The idea of sticks and rocks tied together to serve as a map may seem childish, but these Polynesian stick charts were accurate and sophisticated maps. They revealed current patterns in relationships to islands and allowed ancient navigators to travel thousands of miles between islands. The Chinese Lodestone: The Chinese were the first to balance a small sliver of lodestone in a bowl of oil and use it to point north. This technology, developed in the first century AD, would eventually evolve into the modern compass. Chip Log: Early mariners in Europe used a device called a chip log for measuring their speed through the water. 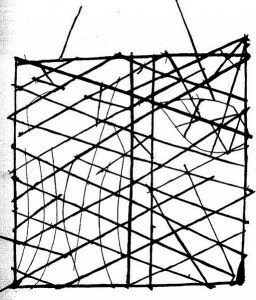 The chip log was made of a triangular piece of wood, weighted on one side and attached to a line with marked (knots) lengths. When thrown from the stern of a vessel the line was allowed to run out for a specified time. The number of knots that had come off the reel determined the vessel’s speed. Today a ship’s speed is still referred to in knots. 1 knot = 1 nautical mile per hour = approximately 50 cm per second, 1 nautical mile = 1º of latitude at the equator = 1.853 km. Volta do mar: A Portuguese phrase that means return by the sea. It was during the time of Prince Henry of Portugal that Europeans first came to understand wind and current patterns of the Atlantic. Volta do mar referred to the fact that in the Atlantic you often had to sail the wrong way (i.e. sail West to go East) to eventually pick up the winds that would return you home. Henry encouraged the exploration (and conquest) of the Canary and Azores islands, far off the coast of Portugal. He also encouraged the development of early European navigation techniques and cartography (map making), that systematized the practice of navigation. The Marine Clock: Given a little patch of clear sky, latitude was not difficult to measure, but the lack of any way to measure longitude cost European nations dearly. Ships frequently ran aground when they did not realize how far they were from dangerous coastlines or reefs. In 1714, England’s Board of Longitude offered a huge reward to anyone whose method of measuring longitude could be proven successful. The Board favored a solution that computed longitude using the difference in the position of the moon, sun, and stars from one location to another. The Board did not believe that a clock could be built that would accurately keep time at sea. The most accurate clocks at this time were pendulum clocks, which do not work well at sea because of the movement of the boat. 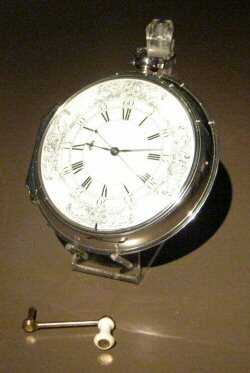 However, in 1735, a self-taught English clock maker, John Harrison, invented a watch that was not affected by changes in temperature or movement. Harrison’s watch utilized a counterbalanced mechanism controlled by springs, which ensured that any change in motion which affected one of the balances was compensated for by the other balance. Click to more about the story of John Harrison and the Longitude Challenge or to play the Longitude Game yourself. The Earth is round. The best way to find your place in the world is using a globe, not a flat map. Globes are accurate replicas of the planet, but they are bulky and not very convenient to carry around. Flat maps are far more useful, but all flat maps have inaccuracies because they are two dimensional representations of a three dimensional surface. In order to improve our sense of place, we use lines of latitude and longitude. Lines of latitude run horizontal around the globe and are divided into 90 degrees for the northern half (hemisphere) and 90 degrees for the southern half (hemisphere) of the Earth. Zero degrees latitude is also known as the equator. The lines running vertically through both poles are known as meridians, or lines of longitude, with the prime meridian being zero degrees. The Earth, being a sphere, is divided into 360 degrees. Each degree is a meridian, and we use half of them (180), to demarcate the areas east of the prime meridian, and 180 going west from the prime meridian. Any location on the planet can be located with a set of latitude and longitude coordinates. To learn more about Latitude and Longitude, walk through a great interactive tutorial. Benjamin Franklin: Serving as the Colonial Post Master General from 1753 to 1774, Franklin noticed that colonial ships made the voyage to England significantly faster than British ships. To explain why, Franklin studied numerous ship logs and consulted with his cousin Timothy Folger (a Nantucket whaler) to create the Franklin-Folger map of the Gulf Stream Current. Answer the following brain teaser about buoyancy, and a second brain teaser about displacement. Write out both the questions and answers. Play the sailing game. Describe what you learn about the techniques involved in sailing upwind vs sailing down wind. Describe one fact about how each of the following boats was built or sailed: Polynesian canoe, European caravel, Chinese junk, a viking longship. 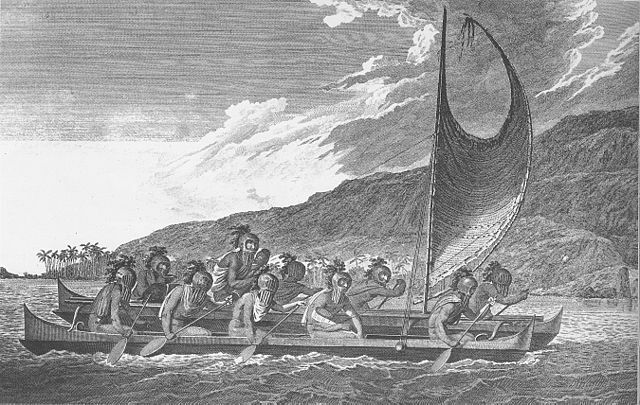 How did traditional Polynesian navigation depend upon the skills of the navigator? Examine the maps and details of Zheng’s He’s voyages and record one thing learned or one thing that surprised you. Explain how a chip log can be used to measure the speed of a boat. Include in your explanation the definition of a knot. Explain Volta do mar, why the Portuguese had to sail West to go East on their return voyages from Africa. Examine the Franklin-Folger Map and compare it to modern images of the Gulf Stream Current. Explain how Franklin’s sampling of water temperature during voyages to England aid in the development of this map. Play the Longitude Game. Explain how knowing the sunrise time in Greenwich, England and knowing what time on the marine clock the sunrise occurs in your location can show you where you are in the world. Go to oceanographic research ship tracker, select one ship. Record its name and lat-long coordinates.